Lucy-Mary completed a psychology degree (BA) at Canterbury University in 2010, then a Masters in Arts Therapy (Clinical – Hons.) at Whitecliffe College, Auckland, in 2014. She worked in services providing arts therapy to vulnerable children in primary schools here in Auckland, as well as overseas, working with teenagers in Bristol (Kid’s Company) and at-risk children and teens in Chicago (Art Therapy Connection). She’s worked with young mothers at the Anglican Trust for Women & Children in South Auckland, and as a dance-movement therapist with children on the autistic spectrum and with attachment disorders (DTNZ). She also teaches on the Pause-Breath-Smile programme in primary schools (Mindfulness Education Group) to help children focus, deal with stress and regulate their emotions. Lucy-Mary facilitates individual therapy sessions, group work, whole classroom psycho-education, and staff training. She works with early years right up to 18 in a range of therapeutic styles, utilising attachment theory, CBT, DBT, mindfulness, play therapy, arts therapy, narrative therapy, psycho-education and dance-movement therapy. Within the arts therapy discipline she works with a range of modalities – visual arts, drama, dance-movement, and play, depending on the natural communication style of the client. Lucy-Mary’s case study was published in the book ‘Arts Therapists in Multidisciplinary Settings’ edited by Caroline Miller. You can purchase the book from The Women’s Bookshop, Auckland. The experience of losing her mother at a young age gave Lucy-Mary a greater understanding of mental illness and a real passion for this work, particularly in the area of mental health education and therapeutic support for young people. She discovered the therapeutic benefits of art, dance and psychotherapy through her own journey with depression and anxiety. 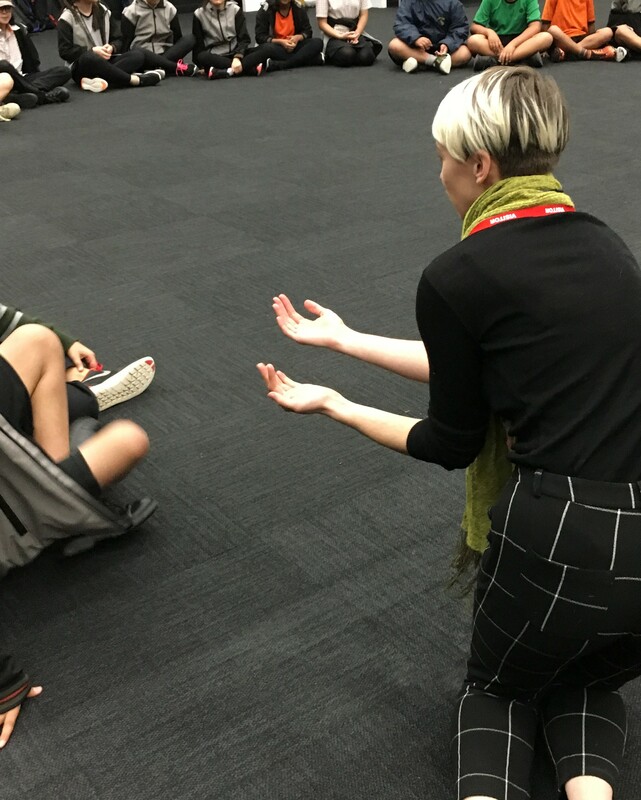 Along with her position at Dance Therapy NZ (2011-2014), Lucy-Mary also worked with an 8 year old boy with Autistic Spectrum Disorder in the role of teacher aide for 12 months. With the support of the school, the parents, and her supervisor, she was able to incorporate arts therapy practices into the work in order to create better conditions for learning. In October 2013, along with her supervisor and the child’s mother, Lucy-Mary presented her findings from this role at the Australia & New Zealand Arts Therapy (ANZATA) Conference. The case study was later published in the book – Arts Therapists in Multi-disciplinary Settings (Ed. 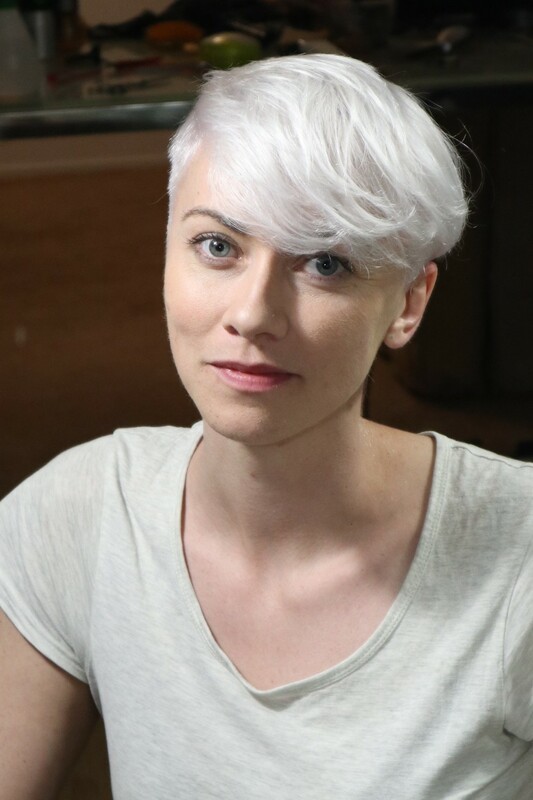 Miller, 2015). Lucy-Mary has also been involved in an Arts Therapy project at Henderson North Primary School (with Arts Psychotherapist Anna-Michele Hantler) and The Anglican Women’s Trust (with Arts Therapist Janet Mcleod). She was also part of The Mental Health Foundation & AUT’s research team, studying the effects of Mindfulness in New Zealand primary schools. After receiving an AMP scholarship Lucy-Mary travelled first to the USA and then the UK, working in two Arts Therapy roles with young people. In Chicago she worked for Art Therapy Connection who ran group and individual sessions for at-risk youth in public schools. In Bristol she worked with Kids Company delivering individual Arts Therapy sessions to teenagers who’d experienced trauma and were struggling with anxiety and attachment relationships. Watch Lucy-Mary’s AMP scholarship story here. On returning to New Zealand in 2016, Lucy-Mary co-founded (along with Anna-Michele Hantler) APTE – Arts & Play Therapy in Education. APTE takes professional therapy services into primary schools to work with vulnerable young people. She sees clients through her private practice in Parnell and South Auckland.